Ancient paths, glacial lakes, high passes, dramatic mountains and rich cultures from three countries are just a small taste of what wait you in this oasis of untouched natural beauty and traditional villages close to the borders of Albania, Kosovo and Montenegro. Here is a short introduction to the “Peaks of the Balkans”, the name of the project I’m working on to be the first to map out hiking routes connecting the remote areas of these three countries. Prokletje, Bjeshkёt e Namuna or Albanian Alps (Albanian: Bjeshkёt e Namuna or Alpet Shqiptare; Kosovo: Bjeshkёt e Namuna; Montenegrin: Prokletje) is a mountain range located in the west of Balkans. 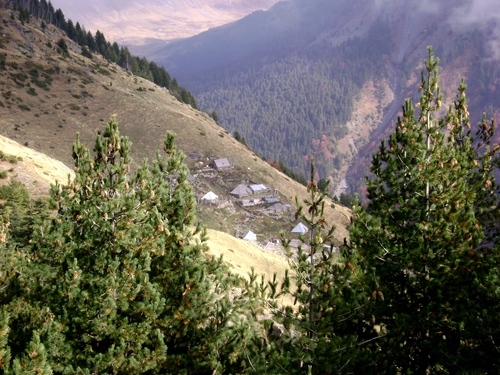 It occupies the north of Albania, southwest of Kosovo and the east of Montenegro. 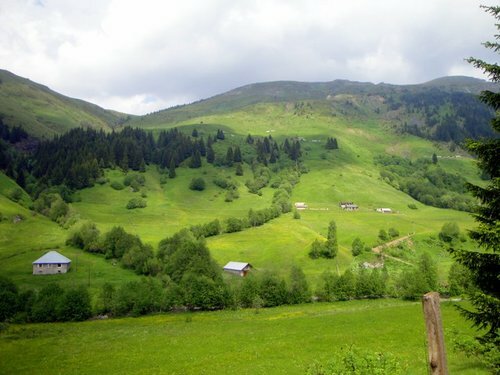 Prokletje and Bjeshkёt e Namuna mean “The Damned Mountains” which describes the cruelty of these mountains and the hard life of those who live close to them. The French travel writer Ami Boue was right when he called these mountains “The Southern Alps”. This is a landscape of wild beauty, relatively unspoiled by the modern development and still one of the last known mountain ranges of Southeast Europe. There is a great hospitality in the valleys. Delicious cheese and home-made raki will be always present, not only in the valleys, but in the shepherd’s mountain huts as well. 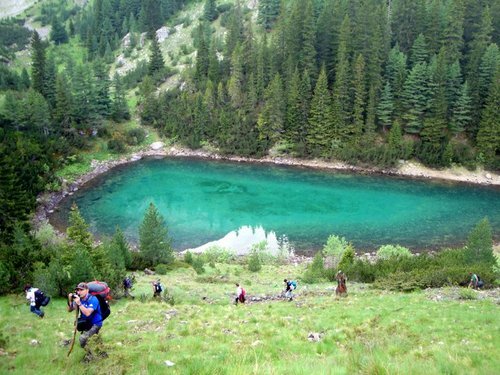 The multi day trekking trail, Peaks of the Balkans, involves hikes to the most picturesque villages and alpine pastures of three countries and passes the borders out of the regular border crossing points. All of these trails are known from the locals for generations and many of them are still used from shepherds for going to the summer huts along the high mountain passes. Be informed about the border crossing procedure before planning this hike. One Response to Peaks of the Balkans Trail – In the "Southern Alps of Europe"
Thank you very much for all the information and GPS tracks! By any chance, do you also have a GPS track available for the Plav-Vusanje section?